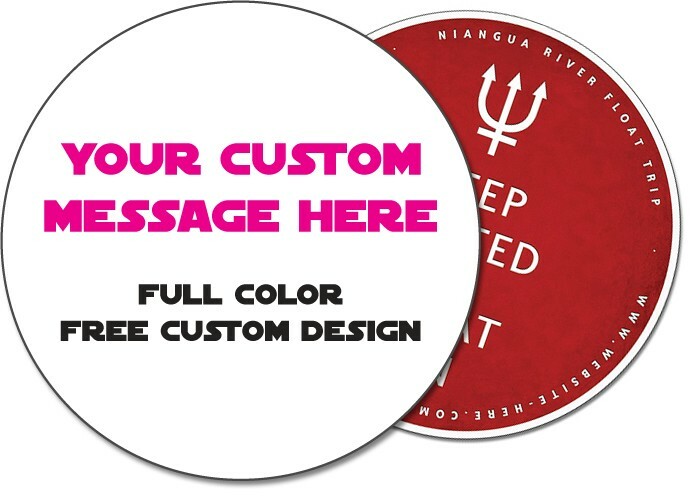 The 7" Circle Magnetic Decal has an inexpensive price but is not cheap in quality! They are 30 mil thick, work well on cars and many other metal surfaces, and perfect for outdoor applications. UV coated to help be water repellent, fade resistant and outdoor safe...tough, durable and long lasting! Don’t waste your time with stock art and the clumsy self-design programs on other sites. Instead have a unique removable bumper sticker custom designed to your exact specifications by our graphic artist…it’s FREE! No upfront/down payment needed to get started!